Are you homesick for some of Grannie’s grits ‘n all? Do you long for Mom’s French Toast and all that goes with it? 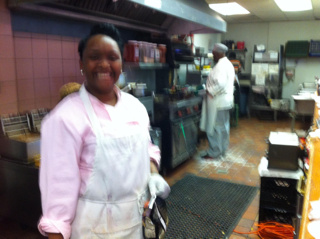 Well, we may not have Mom or Grannie but Café 458 has Chef Tiffany Wills. And starting on Sunday, March 3rd, you can sample her “Southern comfort food with a twist” every Sunday from 10 a.m. to 3 p.m.. Chef Tiffany has researched past favorites from other Café 458 menus and raided her Grandma Mary’s recipe box to create a new menu with something for everyone. She’s also created salad and sandwich choices because, as Chef Tiffany told me, people are looking for lighter brunch offerings these days. 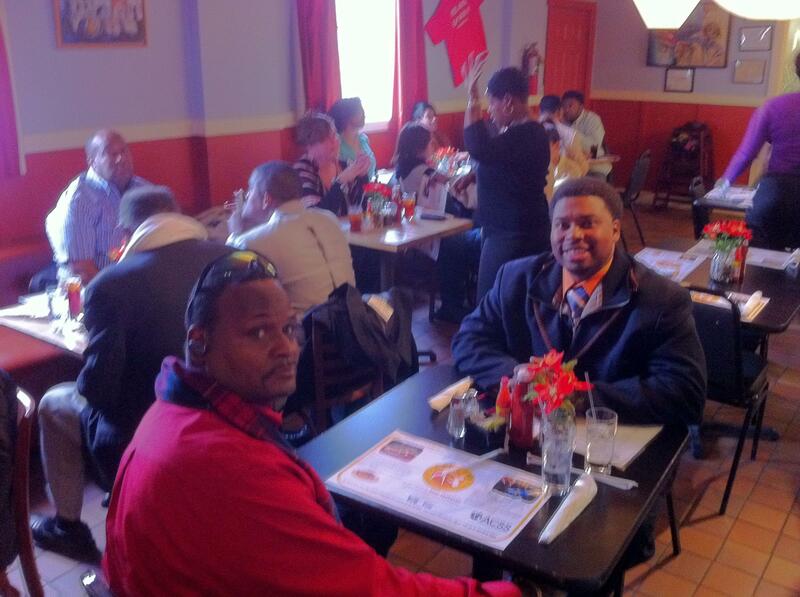 In addition to helping themselves to a delicious meal, Cafe 458 patrons are helping to break the cycle of homelessness. Because Cafe 458 has an all volunteer wait staff, all proceeds, including tips (gratefully accepted! 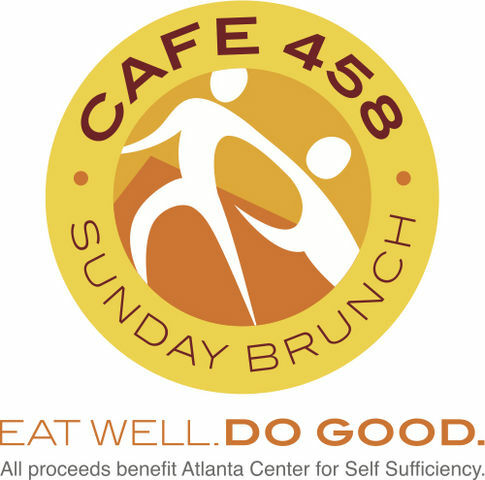 ), support the Atlanta Center for Self Sufficiency. The non-profit organization provides life skills and job-readiness training to individuals who are ready to make the transition from homelessness to self-sufficiency. Located in Atlanta’s historic Old Fourth Ward at 458 Edgewood Avenue, Café 458 has been closed for renovations since late spring of 2012. But ACSS Board Member Eric McBride, with a team of volunteers, is on track to have everything shining and ready for the brunch guests at our grand reopening on March 3rd. For those who have visited Café 458 before, you will notice that brunch is being served in the front of the building, which is more spacious and open. For more information, “like'” Café 458 on Facebook and follow us on Twitter @cafe458. Cafe 458’s popular Sunday Brunch returns March 3, 2013 with an exciting new menu by Chef Tiffany. Happy New Year from ACSS! Much to celebrate: ACSS clients, staff, board members and other friends gather for a holiday party back in mid-December. Our CareerWorks program graduated 335 individuals. These graduates completed a three week structured job readiness training program, created individualized career plans, and received customized job placement assistance. Within 90 days of graduation, 230 CareerWorks graduates obtained full-time employment. Furthermore, our job retention rate after 180 days is more than 75 percent. ACSS was awarded grants from the U.S. Department of Labor and several foundations to continue our work with homeless veterans. Since 2008, more than 530 homeless veterans have received training and support to help find employment and reintegrate into mainstream society. Our Café 458 Life Stabilization Program reached a 70 percent disability benefits attainment rate for individuals who are unable to work due to mental illness and physical disabilities. On behalf of the board, staff, volunteers and clients of the Atlanta Center for Self Sufficiency, we would like to thank YOU for your incredible support of ACSS and its mission to empower homeless individuals to achieve economic self-sufficiency and their ultimate potential to thrive in life. By offering your resources, time and dedication over the past year, you have helped change the lives of hundreds of men, women and veterans who are now on the path to employment, permanent housing, and a brighter future. As we prepare to ring in the new year tonight, we hope that ACSS can continue to count on your support as we strive to break the cycle of homelessness in our community. If you have yet to make an annual gift this year or you would like to increase your giving, please consider making a donation today. Thank you again for your support of ACSS and our programs. We send blessings to you and your family on behalf of those who have been, and will be, blessed by your kindness. Best Wishes for a Fantastic 2013 from your friends at ACSS! P.S. Please note, your 2012 tax-deductible donations must be postmarked by December 31st. We will accept 2012 donations electronically via our website until midnight on Monday, December 31st. Volunteers at ACSS' Cafe 458. April 15-21 is National Volunteer Week, when America recognizes the generous men and women who donate their time and talents to their communities. 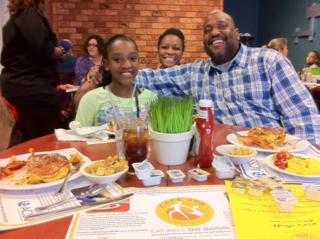 Volunteers are crucial to the success of Atlanta Center for Self Sufficiency. They come from all walks of life and fill an array of crucial roles, including career coaching, administrative support, cooking or serving food, reception desk support, facilities maintenance, marketing and public relations. Schedules are flexible. Some of our volunteers come as part of a group for a one-time service project, such as an “alternative spring break” for college students. Others are familiar faces that our customers and clients see at regular times each week. ACSS values suggestions from volunteers and is quick to act on innovative ideas. In short, ACSS is a place where you can make a real difference, in the organization, and in the lives of the men and women we help. For more information on how you can get involved with ACSS, please visit our online Volunteer Center.